While Utah is the most unreached state in the entire United States, we believe Jesus’ promise that the harvest is plentiful here in Utah and we desire to see the Kingdom of God advanced in mighty ways. Please take a few minutes to watch the video (above) to hear about an exciting new endeavor God has called us toward. We are realigning our resources to advance God’s kingdom through a strategic focus on total gospel saturation. One key component is a Gospel Advance Training Center. We believe God is calling us to see the center become a reality within the next few years and we believe the center to be the first of its kind ever in the history of Utah! 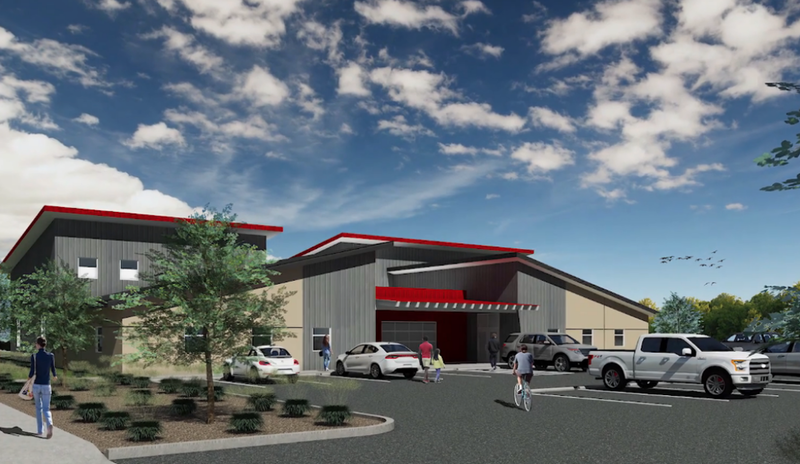 The Gospel Advance Training Center will not only be a hub for missionary work here but will also provide a direct and powerful way for us to connect with the little, the last, the lost and the least of our area. Our people to people ministries will give us the ability and opportunity to show and share the love of Jesus and enable us to evangelize and disciple them in a setting where their ears and hearts will be open. The center will also help us maintain a strong evangelical presence of concern for the needy when many erroneously think the LDS faith is the only one that cares. The center will provide housing for interns to live onsite as they learn and practice transformational ministry, experience peer learning, receive mentoring from a pastor or planter, serve alongside churches and church plants in order to fulfill the Great Commission in a highly efficient and effective way. And short-term mission teams will have a base of operations. In addition, the Gospel Advance Training Center will offer contextualized missiological training specifically designed with Utah’s unique context in mind. Additionally, those who chose to come out to Utah and partner with the Salt Lake Baptist Association will be plugged into existing churches and church plants within our local association which will strengthen and encourage ministry already taking place here across the Wasatch front. recruit new residential laborers from interns and mission teams who fall in love with the mission to reach the Wasatch Front for Christ. SO HOW CAN YOU PARTNER WITH US? PRAY - We need passionate devoted prayer partners who pray for an outpouring of God’s Spirit. GO - Come to Utah and go with us as a student in a university, a businessperson, a retiree, a member of a church planting team, a disciple-maker in a church, a short-term mission participant, or one of our gospel advance interns. If you’d like to set up a trip to come and serve, please contact our Executive Director, Ron Clement, here. INVESTIGATE - Pray, research our culture, give us a call, send us an email, or bring a vision team from your church, association, or state convention. If you’d like to visit Salt Lake to connect with our association or our Executive Director, Ron Clement, please contact him here. SHARE - Spread the word how God is working in the Salt Lake area. Help us recruit partners to the most lost state in our nation. Share this page link (https://slba.org/gatc) on your social media or in an email to those who may be interested in partnering with us. Follow us on Facebook and share any updates along the way!